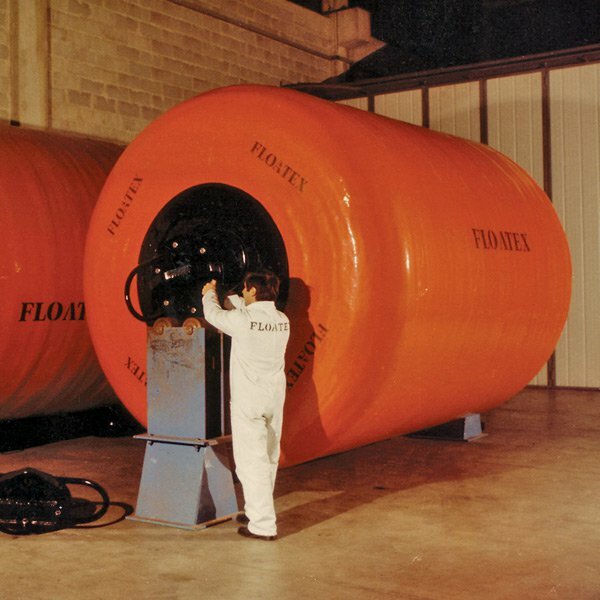 The FLOATEX expanded foam fenders have been developed to provide for maximum protection from damage by crushing to occur when operating under extremely difficult conditions such as side-by-side moorings in open sea or for cushioning off-shore oil platforms. 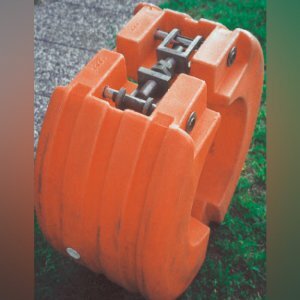 What these fenders offer in comparison with the alternative pneumatic rubber ones are the advantages of a major shock-absorbing capacity, a much more contained reaction force and full unsinkability. The specific structure, being expanded foam covered with a relevant layer of polyurethane elastomer, for high abrasion resistance, requires a reduced turn off of interventions for maintenance. A further asset is the use of different densities of expanded polyethylene for the core which enables FLOATEX to adjust the characteristics of energy absorption and reaction force to the specific technical requirements of individual circumstances. The diagram below shows the behaviour of the expanded polyethylene when subject to compression and gives evidence of the very high performances offered by this product. 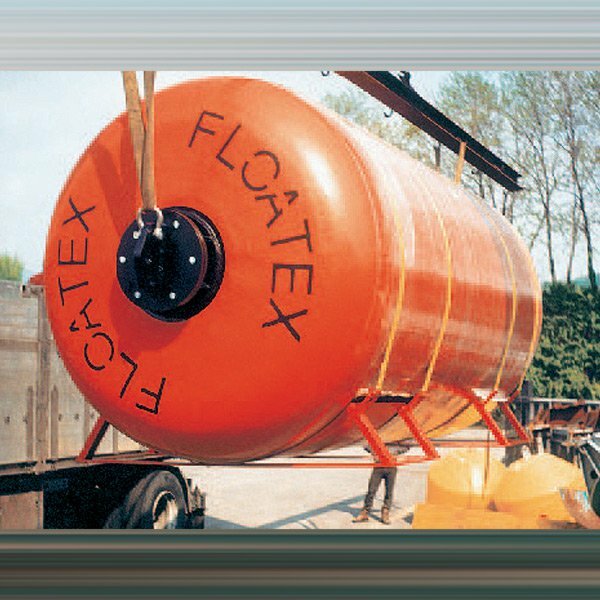 FLOATEX is also in a position to offer fenders shaped to customers’ specification, having available in-house the special equipment needed to manufacture pieces of different and complicated shapes. 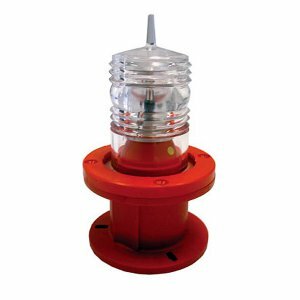 Among the particular applications expected to occur are protection of mooring wharfs, vessels with special elements or parts to be cushioned, protection of lock entrances etc. 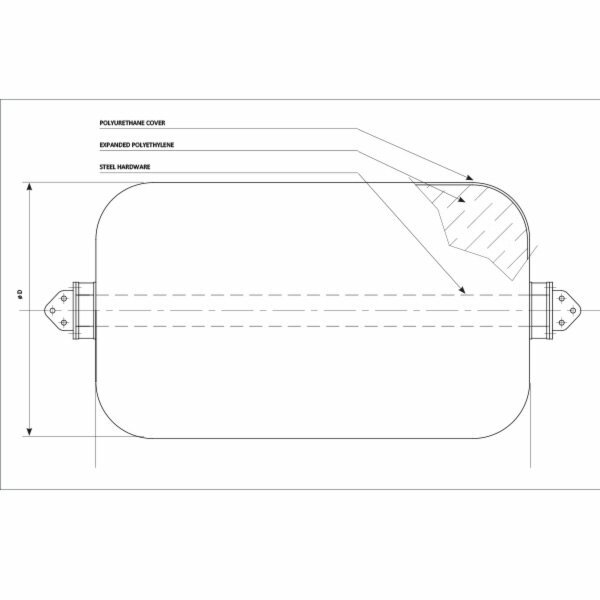 The cylindrical standard type of fenders is manufactured with an expanded polyethylene core wrapped up in overlapping and crossing layers, with a final covering of self pigmented polyurethane elastomer. This type of construction ensures a notable resistance and reduces the frequent and burdensome number of interventions to a minimum. 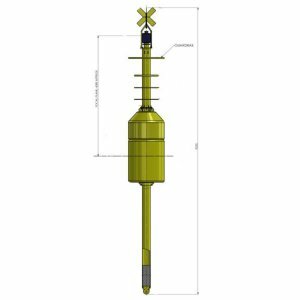 According to customers’ requirements FLOATEX offers different types of attachment for their fenders: steel tube for mooring with heavy chain, with shackles, with flanges and double mooring eye.